While the traveler in me was dormant, circa 2007, I worked as a property manager in Santa Cruz, California. I was in charge of a few properties, but had a primary apartment complex where I lived and spent most of my time. One Friday evening I was at a friend’s house, spending precious hours with a sense of self that did not include my job title, and I got a phone call. I don’t miss getting calls like that. The parking lot was overflowing with patrol cars when I got there and officers loitered in the courtyard. I remember them as being professional and polite, with a slightly macabre sense of humor. They told me to wait until the officer in charge of the case got there for details. “Butch will be here soon” they assured me. The name brought nods of respect from the other cops. With a name like “Butch” I was expecting a metal-bending drill sergeant, but I remember the guy who showed up as looking more like someone’s dad. A little soft around the middle, hairline receding in front, and a ready smile. He told me how my tenant’s car had been the vehicle in a drive-by shooting, and when they came by to talk to him had seen a bullet hole in the door. I don’t remember the details of the warrant, but they broke down the door and found the apartment empty. We spent an hour or so going over surveillance video together. I liked the guy. I remember a friend asking if the cops had been dickheads. Last Tuesday Butch and his partner, Elizabeth Butler, went to follow up on the suspect in a sexual assault from a few days earlier. The property was just a couple blocks from where I had worked. The suspect had a violent criminal record, barely avoided a life sentence in military prison, and his father described him as “a ticking time bomb.” He had served two years in prison, and federal law prohibits anyone who has served more than a year from owning a firearm, but his two years were consecutive one-year sentences, so he didn’t show up in the database. He had three registered guns. Butch and Elizabeth knocked, he opened the door, and shot both officers with a semi-automatic pistol, killing them both. He took both their guns and fled. The police found him half an hour later and he was killed after shooting at the police again. Everything is clear in hindsight, and a friend of mine who knew the shooter said she never suspected he was capable of something like that, but I don’t want to talk to anyone right now who opposes increased gun legislation. Detective Elizabeth Butler was a 10-year veteran of the Santa Cruz Police Department. She came to Santa Cruz for the university, just like I did, and liked the fresh bread at the bakery down the street from where I was house sitting. She is survived by her partner and two children. 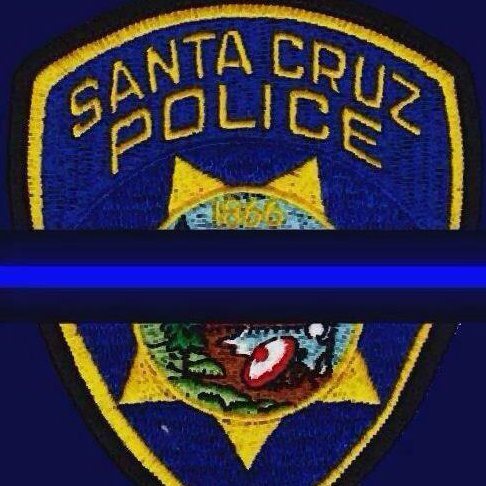 Sergeant Loren “Butch” Baker served 28 years with the Santa Cruz Police Department. He is survived by his wife, son, and two daughters. I’m sorry for their losses. They sound like quality people. Such a tragedy!